Democratic Party leader Godfrey Farrugia. A “rule-of-law control system” must be introduced in the Constitution, the Democratic Party has proposed. “Such a system would constrain abuses of power, ensure equal treatment of citizens and ensure public interest,” the party says in one of its 12 key proposals for constitutional reform. 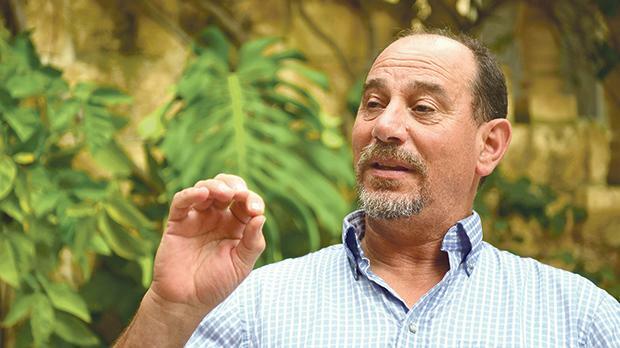 Presenting the PD’s proposals to President Marie-Louise Coleiro Preca last week, party leader Godfrey Farrugia said that the drafting of the new Constitution should be left to experts in the field, both local and foreign. In the interest of uniting the country one needs to bear in mind that there are a lot of systemic issues which need addressing such as the Whistleblower Act, the Financing of Political Parties Act, the Ombudsman Act and the Auditor General Act. The PD said that the Steering Committee for Constitutional Reform must not be one that is seen as a ‘backroom deal’ behind everybody’s back and it was important not to leave out the media, judges, lawyers, the Chamber of Advocates, NGOs, pressure groups, trade unions and citizens from this whole process of reform. It said it did not agree with the government’s decision to ask the Steering Committee – “a committee of political representatives with no clear terms of reference and with no basis at law” – to debate the report in secret. The Steering Committee, it said, was simply “a gathering of representatives of the Labour Party and the Nationalist Party”, adding that it was “not a committee with broad enough representation to ensure comprehensive debate”.